Viola! 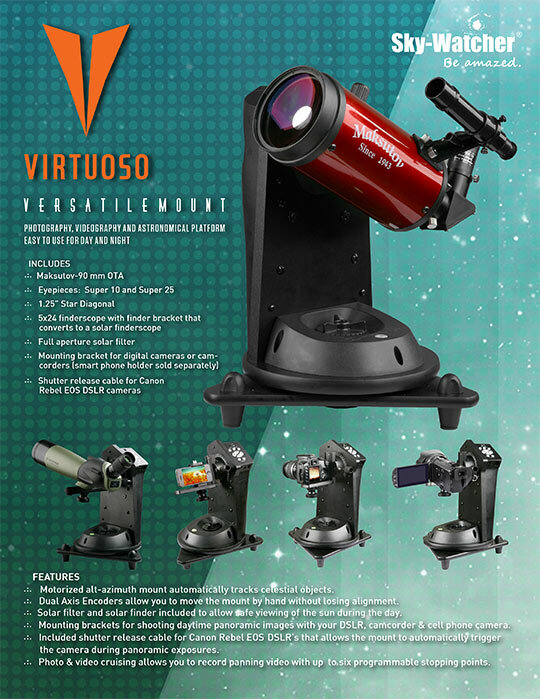 Here is Sky-Watcher\'s new Virtuoso Versatile Mount! It is great for photography, videography and astronomical platforms and is excellent for both day and night uses. Click here for more details.